Scrivener is a writing application (for Mac and Windows) that combines a word processor with project management software, allowing you to create, structure, and edit any number of documents or reports within a single case file. The real benefit to lawyers is that you can also pull all research and client/case information into the same file. That is, Scrivener allows an attorney to keep all the information and content relevant to a particular client or area of law in the same place. Scrivener’s features, initially designed to facilitate writing novels and screenplays, lend themselves very well to organizing, tagging, and referencing a client’s case information with research and trial documents. compile and quickly refer to any research such as journals, case law or statutes as well as case specific information such as documents, images, case reports, client interviews, motions, exhibits, witnesses, contracts, etc. 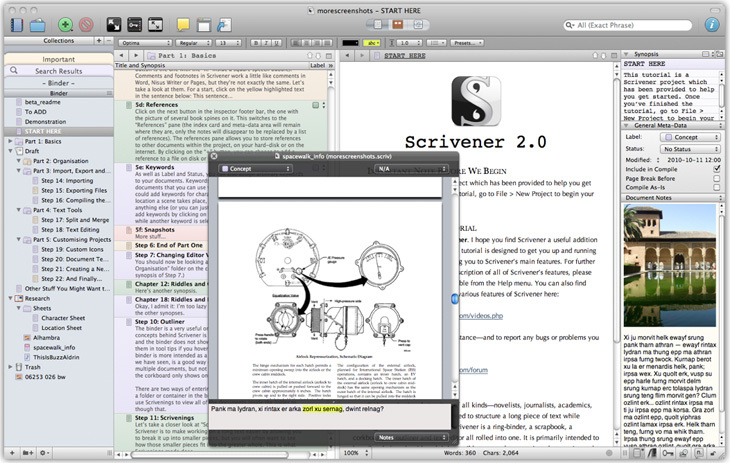 You can find a more comprehensive list of Scrivener’s features on its website. For all its versatility and efficiency, Scrivener is very reasonably priced at $45 for the Mac version, or $40 for Windows—there’s also a 30-day free trial. The Scrivener and Index Card combination remain my writing tools of choice! Scott (AKA The iPad Lawyer), It is great to hear your positive feedback on these tools, especially about your dueling use with the iPad app Index Card and desktop app Scrivener. I think many would find these tools to add massive value and flexibility to their current workflow. I even use these tools for drafting lengthy email messages! And Index Card is what I use as my primary book and article first draft tool. I not only recommend Index Card, it is a MUST-HAVE app for those who come to my seminars. By the way, it works with the iPhone as well. 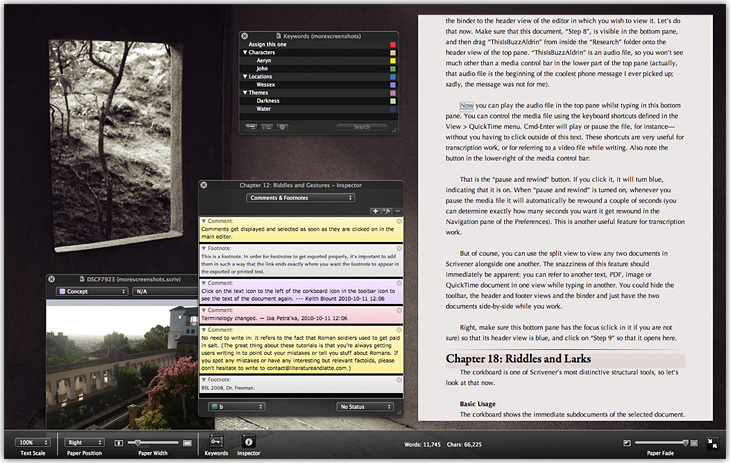 I am a HUGE fan of Scrivener.. BUT — a word of warning… the syncing feature only exists (so far) on the Mac version. For windows users, you have to jump through some hoops, and go through some contortions, to get the same result. The makers of Scrivener (Literature&Latte) are working on an iPad version, and they are always working on catching the windows version up to the Mac version, and of course they’re always working on new mac features. One other note..not only is it amazingly affordable, not only does it have a 30 day free trial, but the 30 days is NOT 30 consecutive calendar days, it is 30 days of use. Thanks for the heads up Laurie. We are really looking forward to the iPad version! !